Christmas they say is the most commercialized holiday in the world. It has transcended culture and religion that people celebrate it for reasons other than religious. But we in the Philippines celebrate Christmas not just for commercial purposes.For us,it means more---- family-get-together,love,giving,and the birth of Jesus. With the Philippines having the longest Christmas in the world, expect a lot of merrymaking. And that means a lot of food on the table---sweets, fats abound. This is the time of the year when the word 'dieting' is thrown out of the vocabulary of most people. It’s simply too hard to resist. I am lucky I'm not the easy-to-get-fat type but it still pays to check what one is eating. The challenge therefore is how to eat,drink and be merry during Christmas Season and still not sacrifice you health. Since I always spend Christmas with my family,the food that we prepare are basically representative of the favourites of each member.Mine is fruit salad, my brother loves leche flan and my sister would not allow not having Maja Blanca around. 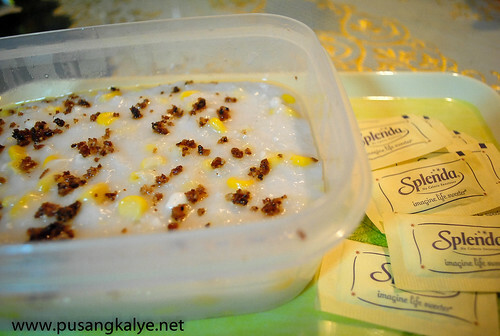 Speaking of Maja Blanca, here’s a healthier twist into this dessert which is no doubt one of the favourite in the Philippines during Christmas. 1.Boil thick coconut milk in a saucepan until the oil is extracted and the precipitate forms into a dark brown color. This is called latik. 2.Drain the latik from the oil and set aside. 3.Grease a 13-inch rectangular dish with coconut oil. Set aside. 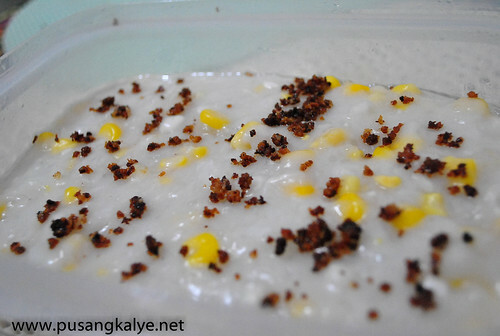 4.In a medium saucepan, blend rice flour, SPLENDA granulated,sweet corn kernels, cornstarch, and fresh coconut milk. 5.Boil for about 5 minutes over slow heat,stir continuously. 6.Pour hot mixture into prepared dish and allow to set. 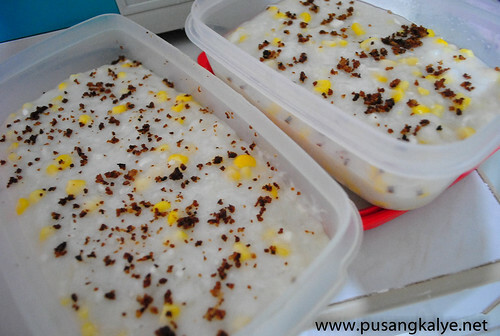 7.Sprinkle latik on top. Cool before slicing. Who says one cannot eat,drink and be merry this Christmas less the guilt? SPLENDA makes it possible! Have a Healthy Christmas Season everyone! wow!!! sarap naman nyan... slenda granulated sweetener yung ginamit u? hmmm.... alam na!! !